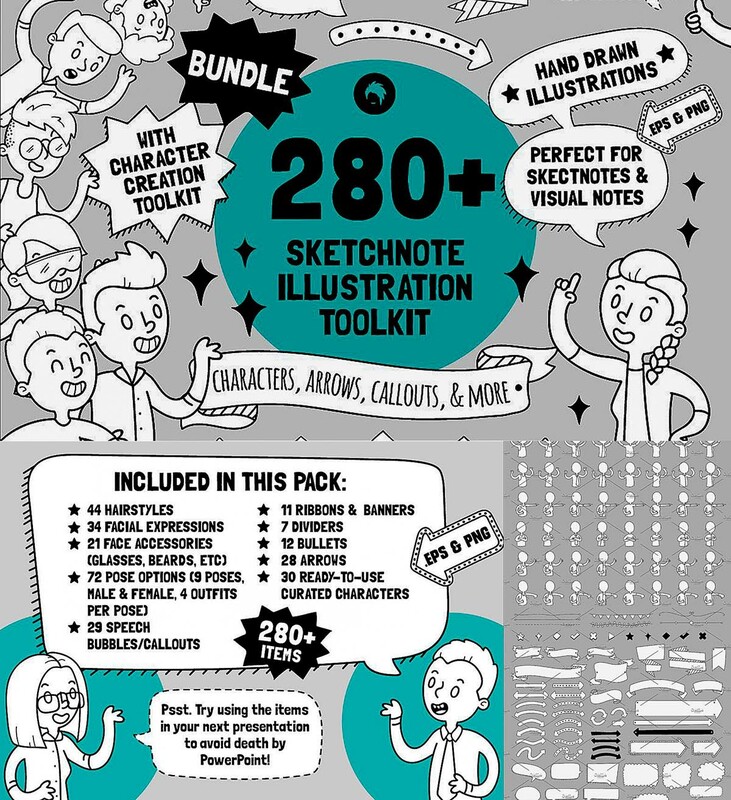 Create your own sketch note style pieces with this illustration toolkit bundle. Layer up your own characters or use the curated characters, add bubbles, arrows and ribbons to make engaging notes, fun invitations, or spice up boring presentations. 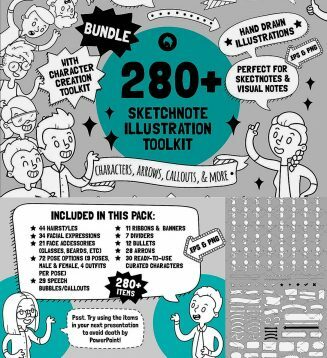 Tags: bubble, cartoon, clipart, divider, line art, poses, position, sketch. I think zippyshare.com is another one good file hosting alternative.